The recent introduction of Axum has made me very curious about the military forces of this old African nation around the Late Antinquity. They are quite an exotic faction, being the first Ethiopian faction ever in the Total War series, and so have a lot of strange weapons and soldiers. First of all, what are the polearms that the Axumite warriors wield? It is a long weapon and the "head" is a strange crescent shape. What is the name of this weapon, and how would it be used? I'm assuming it was used like an axe or a halberd, but the battle animations seem to show them using them as spears. Then what are the units the Marz Archers and Marz Horse Archers. Was this a specific African tribe? 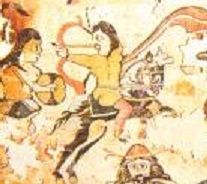 I find it quite interesting how Aksum especially was given a Horse Archer unit considering that they seem to be quite removed from the steppe where the Horse Archers are particularly famous. Finally, were there any noteworthy wars that the Aksumites fought during or around this era? Militia Fix, Foreign Legions mod 7.0, EB's NTW Total Music, Knights of St. John mod, Napoleon Event Pictures, The Wardrobe of 1805 mod and the new Music of War. !Under Proud Patronage of Gunny! 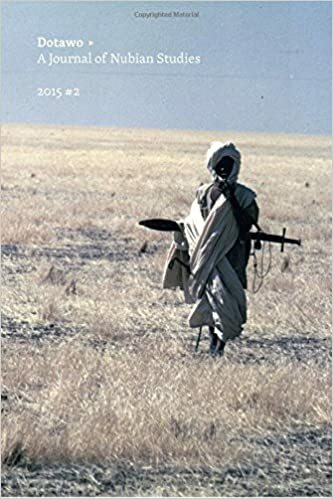 Ethiopian warfare was never a really exciting one throughhout its whole history, ecxept maybe during the so-called "era of the princes" (Mid 18th-Mid 19th century), when they imported heavy armour from the neighbouring Muslim Sultanate of Sennar. 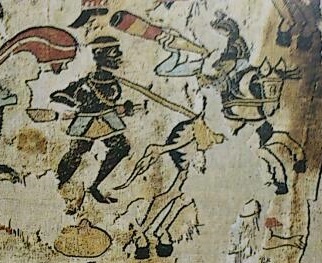 Also in Aksumite time the Ethiopian very likely fought as very light troops, with the majority beeing armed with spears (Which was by far the most prominent weapon in ancient Aksum) or bows. Yet i couldnt find any sources which prove armour, i also only have a dimly memory of seeing a relief with shows soldiers wearing helmets. Also noteworthy is the proven usage of warelephants (Which were for whatever reason neglected for fantasy dog-units). There were also noteworthy wars in that era, mostly fought as some kind of proxy-war (Aksum/ERE vs. Himyar/Sassanians). I dont have seen these polearm-heads before, so i assume that they are fantasy or are inspired by the crescent symbols one can find on pagan Aksumite coins. Might be wrong though, but anyway, they dont look entirely practical. Last edited by LinusLinothorax; September 24, 2015 at 01:31 AM. I dont have seen these polearm-heads before, so i assume that they are fantasy or are inspired by the crescent symbols one can find on pagan Aksumite coins. Might be wrong though, but anyway, they dont like entirely practical. What I have noticed is that a lot of Proto-Axumite art shows heavy Egyptian styles of clothing and hairstyle. I imagine a lot of more rural Aksumites would look very vaguely Nubian/Egyptian. Consider though that this picture here shows no indigenous pre/Aksumite Ethiopian but rather a Sabaen. After this pre-Aksumite period, the bad known proto-Aksumite period begins, which stretches from after the fall of Dm't until the first mention of Aksum in the first century AD. Indeed, during this time Ethiopia was also under Kushite influence, which can be seen by the fact that proto-Aksumites imported pottery from there. Based on that sources we can say that atleast the core population of the Aksumite kingdom already had the look modern habitants of Eritrea and northeastern Ethiopia has. As a disclaimer here, I dont know as much as Ancient Ethiopia as you, so take my opinions with a grain of salt. The hairstyle certainly reminds me of Kushite, so your comment of kushites having a strong influence doesnt surprise me, also given that they themselves were strongly influenced by Egypt. Even the Sabean art seems very reminiscent of Egyptian art in its style and pose, but thats all conjecture without evidence. Yeah, i've also seen that sphinx. Pretty intriguing! 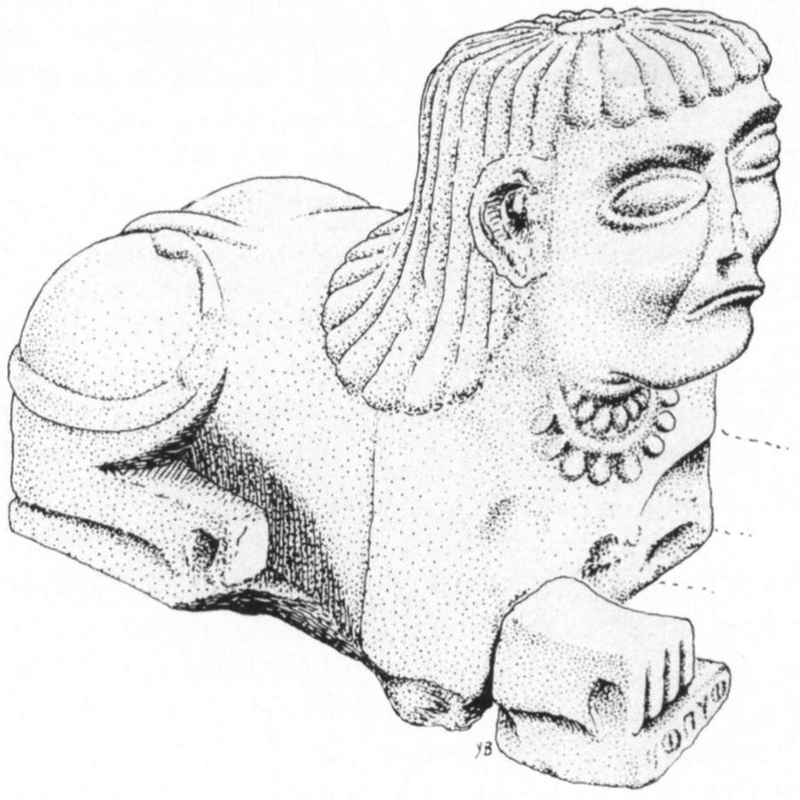 However, if i see it right sphinxes are a far spread theme in ancient Near East. Actually, Kushites wore their hair very short during the Hellenistic timeperiod. If you want you can check out my Meroe preview to see actual Kushitic haircuts (Pictures should come today). However, that thing is made of leather, so i have no clue why CA used it as a spearhead. Are you guys referring to the Shotel? No. They were talking about the kind of weapon used by the Ras Guard unit in-game, whatever it is. Oh yes, I'm wondering - were trousers and shoes widely worn by Axumites at the time compared to tunics and sandals? Last edited by You_Guess_Who; December 17, 2015 at 01:48 PM. Trousers and tunics were both worn, as paintings from Cosmas Indicopleustes and the one textile fragment i posted above proofs. Concerning footwear: I am not really fit in that part of Aksumite archaeology, but since most Ethiopians, even the nobles, went barefooted until the early 20th century i doubt that Aksumites wore either shoes or sandals. Ethiopian warfare was never a really exciting one throughhout its whole history, ecxept maybe during the so-called "era of the princes" (Mid 18th-Mid 19th century), when they imported heavy armour from the neighbouring Muslim Sultanate of Sennar. Also in Aksumite time the Ethiopian very likely fought as very light troops, with the majority beeing armed with spears (Which was by far the most prominent weapon in ancient Aksum) or bows. Yet i couldnt find any sources which prove armour, i also only have a dimly memory of seeing a relief with shows soldiers wearing helmets. Hmmm, I suppose from this you're saying armoured units should be quite rare for Axum. Imported, you said? 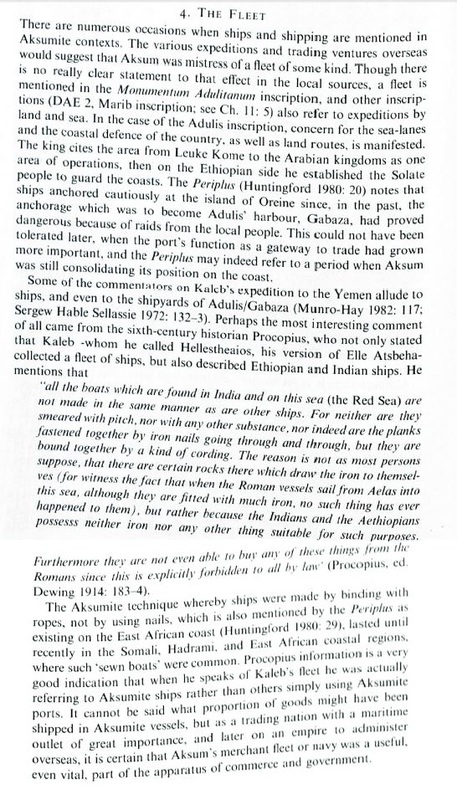 Talking about importations, seeing Ethiopia's strategic position near the horn of Africa, were there during the Late Antiquity many pirate groups prowling the region? If yes, which people mostly comprise the pirate bands? Also did Ethiopian and Yemeni navies grew strong to counter this kind of problems? What kind of ships used by merchants in the Red Sea and The Indian Ocean in the late antiquity? I guess the iconic dhows with their lateen sail haven't been used at the time (wasn't lateen sail originally an eastern Roman invention, if I'm not mistaken?). Yes, but that was 1300 years after Attila. Actually, i doubt that Aksum either imported armour or even produced its own. The supposed "helmets" i mentioned are possibly also no helmets, but rather caps, maybe made of leather. Ethiopia and its historical predecessors were just not realms who made extensive use of armour, unlike the historical Sudanese kingdoms. Not sure about the navy and piracy. Next week i would have to check a book for that. Last edited by LinusLinothorax; December 21, 2015 at 04:10 PM. The first thing reading the lashed construction, I instantly reminded of ancient Egyptian ships. Those did sailed down the East African coast, so ships resembling them used for milennia is somewhat plausible. BTW, whoever told Procopius of giant undersea magnet capable of ripping nails off ship planking have great imagination. But it suggests that metal-attracting stones are pretty much well-known in the time, to be sugggested as a reason. Found in Aksum, it has a width and length of roughly 10 cm. The socket proves that it was indeed installed on a wooden staff. 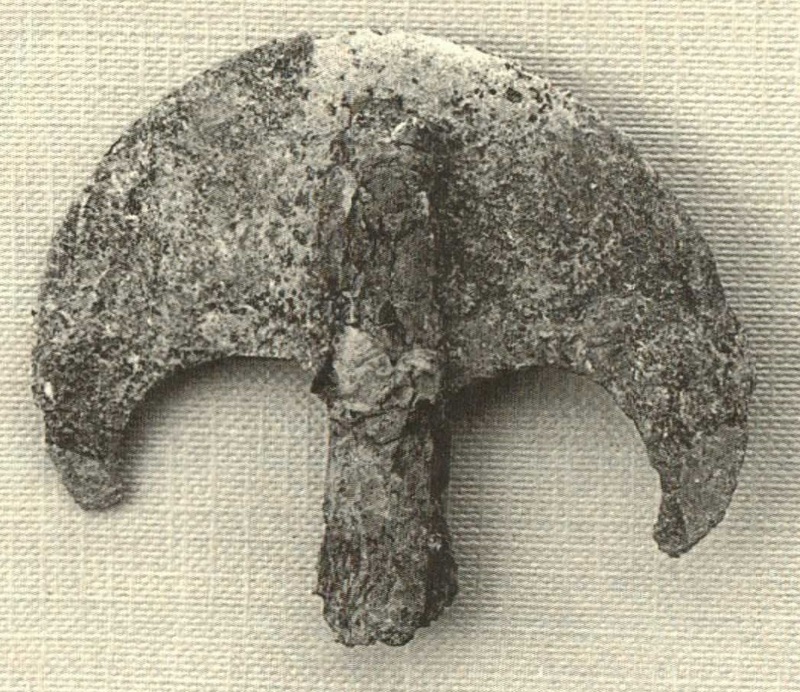 I still think tho that it wasnt the head of an ordinary spear how it depicted in Attla, but rather was some kind of halbard, maybe ceremonial. Except of horsearchers beeing used anywhere from Iran to Egypt (Maybe also Nubia, though the evidence on that the theory is based is very thin), it is noteworthy that there were still no horsebones from Aksumite era found, also not from a pre-Aksumite context. The source i got that from is relatively old (1991), but i just checked a recent article about animal bones from Beta Giyorgis, one of the two mountains surrounding Aksum, and there it also mentions neither horse nor camel bones. It seems indeed that cavalry played a marginal role in Aksumite warfare at very best. For making a final judgement further excavations at Aksum and Adulis are required tho. Last edited by LinusLinothorax; January 22, 2016 at 04:21 PM. How good a place are the Ethiopian Highlands for raising horses, btw? As I understand it, at least in the sub-Saharan kingdoms of later era horses were all imported because they were unable to be succesfully raised locally. That said, I guess the Ethiopian Highlands might be more forgiving than the Sahel belt. Last edited by Charerg; March 08, 2016 at 02:20 PM. 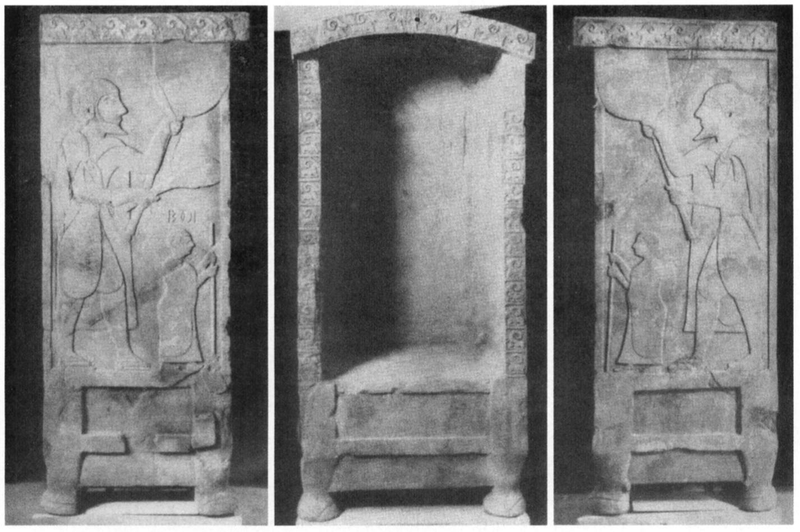 Were there Nubians who served under Aksumite kings in Ethiopian army? Aksum did invade Kush, but were the Aksumites rule and recruit Nubians? As I understand it, at least in the sub-Saharan African kingdoms of later era horses were all imported because they were unable to be succesfully raised locally. That said, I guess the Ethiopian Highlands might be more forgiving than the Sahel belt. Indeed, they are, since mosquitos and tsetse flies have it much harder surviving there because of the very mild, almost European temperatures. In Sahel Africa, as more south one goes as more numerous become the tsetse fly. In the southern edge of the Savannah, a horse barely survives for 1 year. This is why the Saharan nomads avoid these regions and only travel there one time the year to sell their cattle & horses, and after that move away as fast as possible. 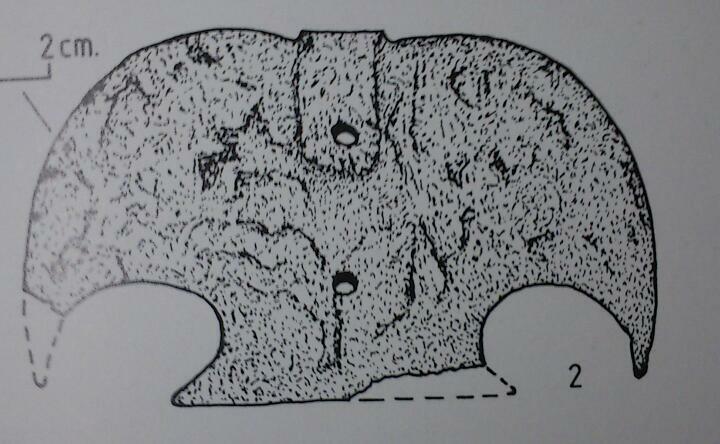 However, as mentioned, we totaly lack horsebones, horseharnesses or graffiti from pre-Aksumite and Aksumite sites. Possible that during this time horses were a rare property only available by imports from the north. Only in post-Aksumite sources they appear for the first time on Christian frescos. Last edited by LinusLinothorax; March 08, 2016 at 12:30 PM. Sadly, i dont know what ethnicity he is part of, maybe he is Nubian (Since the journal is mostly about Nubian linguistics). His sword is a massive version of the Kaskara type.